Loved watching Michael Jordan scoring with that slam dunk in a stadium packed with thousands of spectators cheering for the “lord of basketball”? Whether it is the last minute turnaround of the match or the cheerleaders dancing with sheer joy, that’s all a part of the game and that’s why it’s one of the widest games being watched all around the world. Now, that the game is everywhere on the streets and colleges, then how can your android device be devoid of that! That’s why; Dreo has come up with some great news for the fans of the speedy game! 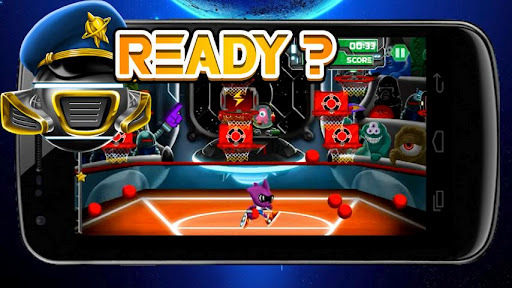 Space Ball is the new android app released recently. 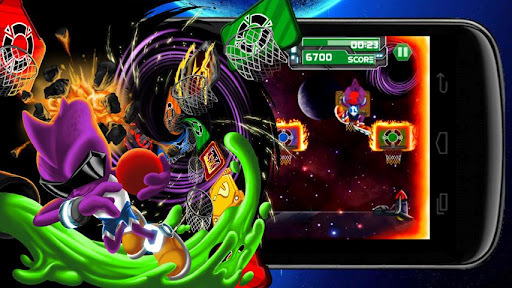 The game features a unique basketball environment which can be regarded as ‘electric and alien’. It follows the spirit of the original game; you need to be fast and accurate. The target is simple, score as much as you can within the offered time limit to break records. A no. of basketball hoops attached to different backboards is flying over your head all the time. All you need to do is just use your finger to aim the ball on a hoop and shoot the ball. The more shots you aim correct, the more you score. The different hoops feature a unique quality. While some will slow down everything and help you score against the fast running time, others will launch many basketballs so that you don’t stop till your ball comes back after the shot. While these were the good ones, there are some bad ones too you need to be careful of. There is a ‘stuck ball’ hoop which locks down your ball until it passes away and all you can do is wait until it releases the ball. The game features four different modes: classic mode, time mode, TNT mode and ultimate mode. While sometimes you are running short of balls, sometimes it’s the time factor that matters the most. In the time mode, you get extra for scoring shots and that’s how you continue your game for the longest period. The ultimate mode is locked at the start and can only be unlocked later after you clear all the three levels. The graphics of the game are some of the best in the business. The background is a space scene and not just a pasted picture rather in motion. The pace of the game is good and gives a feeling of the actual mechanics on the field. But it is the variety in the game play that keeps you stuck with the game from the moment you start. There are a lot of elements all blended up very nicely to result into a product that is intuitive, sharp and beautiful as well. The game is free in the Play store but deserves a price tag for the fun we had. However, there are a few bug problems need to be resolved as the game sometimes hangs down while running and we had to shut it down forcefully. We hope to get it clear in the next update. DEFENSE OF ROMAN BRITAIN TD: A GAME HAVING A UNIQUE STORYLINE! 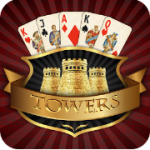 TOWERS TRIPEAKS: CLASSIC PYRAMID SOLITAIRE- BE THE CHAMPION!